Introducing McKenna Ryan’s newest sweet faced, furry, feathered and fun forest friends. 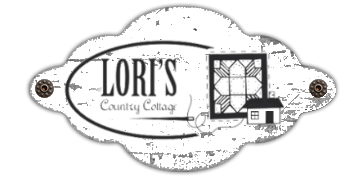 This collection is laser cut from her latest and simply stunning line of digital prints and batiks, making your piece a breeze to complete. McKenna has designed this program with two different options. 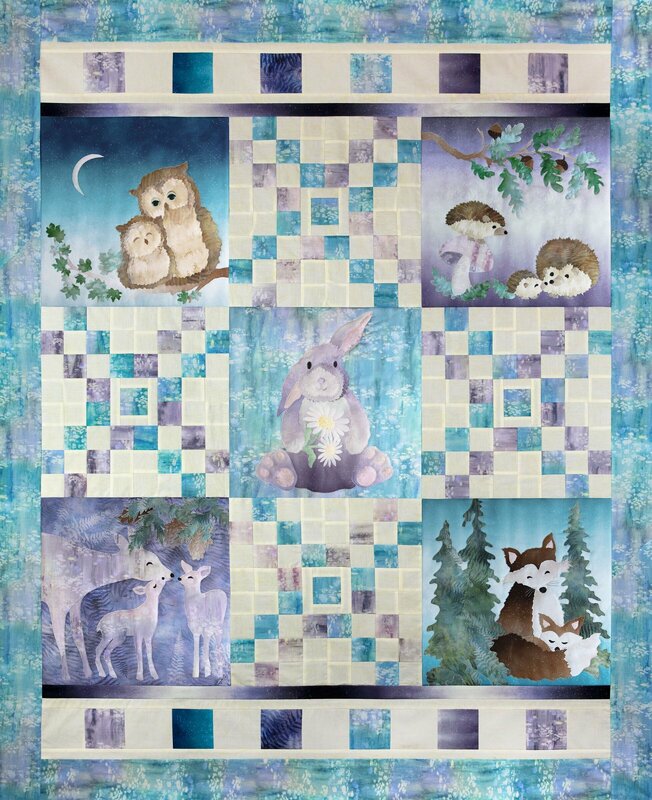 Each block can be mounted as wall art on a 14” x 14 3/4” canvas or, it can also be made into a quilt with five blocks and additional finishing fabrics – you choose. 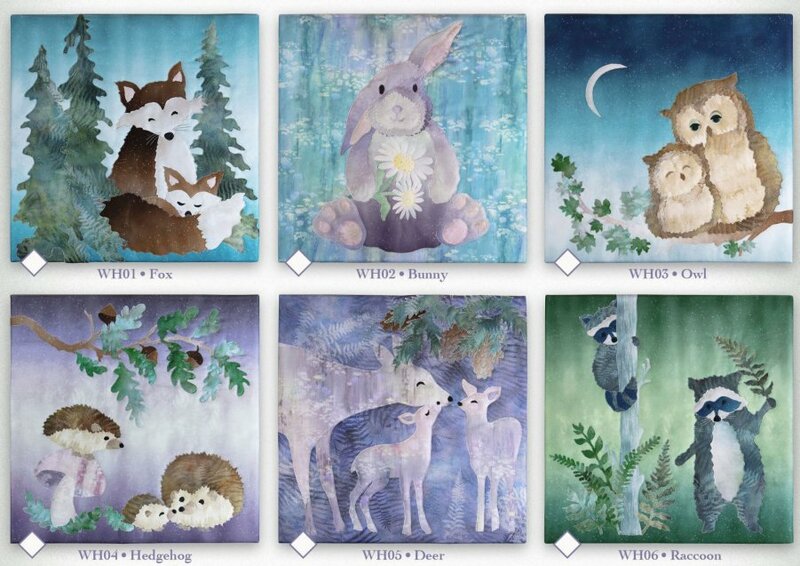 You can also choose to order individual kits which include all background and applique fabric to complete your block. Quilt finishing kit is sold separately. Finished Size 48 1/2" x 59 1/2"